Another genre that I can’t seem to escape from is comedy. Whether it be straightforward, weird, serious, or light tone. For this list, you get a jack of an all trades of comedy series. Here’s one that I wrote recently on a list, so here’s a quick summary of Tanaka-kun is Always Listless. Tanaka would be your typical high school student if he didn’t sleep throughout the whole day. His friends restlessly try to get him involved in life. It really is a funny series that’s pretty silly, especially with the premise of Tanaka always sleeping. Are you ready for all the laughs, then here it is 8 Anime Like Tanaka-kun is Always Listless [Tanaka-kun wa Itsumo Kedaruge]. 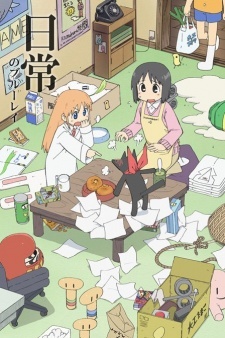 Follow three friends, Mio Naganohara, Yuuko Aioi and Mai Minakami as their life is anything but ordinary. As they spent most of their time with Hakase Shinonome who created a robot named Nano and a talking cat named Sakamoto. The strangeness keeps on going with being bitten by a talking crow, watching the principal suplex a deer, and more craziness to come. 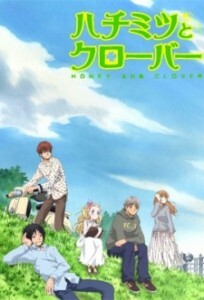 Underneath this silly comedy, has a more slice of life feel to it. 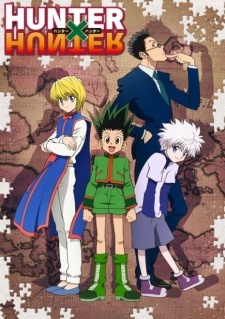 It’s a great anime for both getting the laughs and making you think as well. 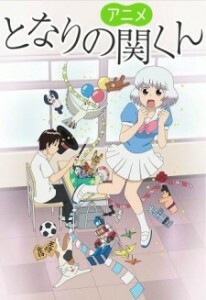 A boy named Seki-kun sits in class and does everything except paying attention to what the teacher is teaching. He makes little models of things he has and does different things with them like a golf course with the dents in his desk being holes. A student right next to Seki-kun is Yokoi, of whom seem to be always getting in trouble with the teacher each time when she get’s involved with Seki-kun little games. It’s a show that doesn’t use any raunchy humor or anything crude. It’s pretty family-friendly series and a big recommendation if you are looking for something a tad bit different. The show is about three college students Yuuta, Takumi, and Shinobu, who all live in the same apartment complex but don’t know each other that well. But they soon will and get to know other people along the way. They will learn about the joys of falling in love, the pain of letting go, discovering one’s self, and finding the courage to move on. This seems more like a drama but it does have comedy, so if you want a show that little more heavy this is for you. 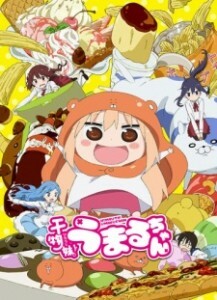 Umaru Doma is your perfect high school student who’s very pretty, popular, and well mannered. However, behind closed doors in her house, she’s a junk food eating, anime watching, and lazy sister, who lets her brother take care of all the housework. Umaru may look innocent but on the inside, she is one wild party girl. It’s one of the funniest shows that you have to watch. I’ll guarantee it will make your sides hurt. When being the sole heir to the yakuza is something that Raku wants nothing to do with them at all. Unfortunately, he may have to when the friction between the yakuza and the American Bee Hive Gang starts to heat up. 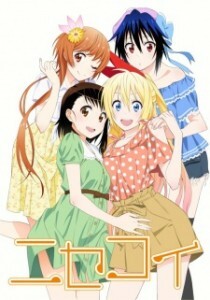 The only way to reduce it if he gets romanticly involved with the Bee Hive chief’s daughter, Chitoge Kirisaki. Can Raku stay with Chitoge long enough for all the heat to die down? Another funny show that doesn’t take itself too seriously. It delivered a great amount of drama, suspense, and comedy! The GJ club has a new member, who’s name is Shinomiya Kyouya. 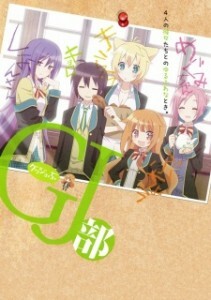 He meets the other members of the unusual club, Mao, Megumi, Shion, and Kirara. They all have their feats of uniqueness and spend their days having fun. It’s fun from start to finish, and it’s not all hyper. You can relax while watching this very good show. 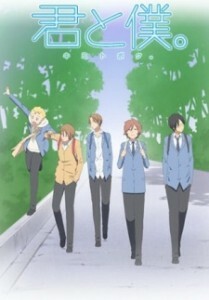 Four high school boys, who have been friends since childhood doesn’t have anything exciting in their lives. Join Yuuki and Yuuta Asaba, Shun Matsuoka, and Kaname Tsukahara as they add a new edition to their ragtag team of misfits, Chizuru Tachibana who is half German and half Japanese. See how this one person was able to spice things up into their dull lives. This is more of a quiet comedy and slice of life show. It’s not bouncing all over the place and doesn’t need to be. 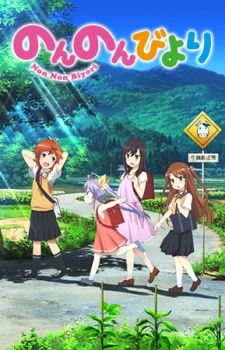 If you are looking for a quiet anime then watch this show. Asahigaoka is not your ordinary town thanks to five students who are all in different grades. Each one with their own personal quirkiness, they all hang around with each other and have some playful adventures. All in all, this is a must watch series, you will love and enjoy it over and over again. If you want to know what nirvana feels like, watch this anime.